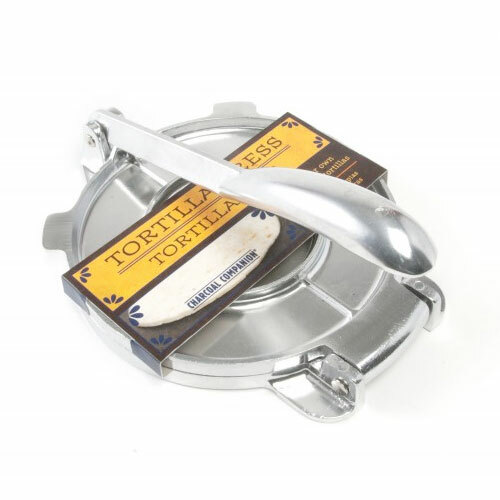 Tortilla Press | Patio and Hearth Co. Mix dough from your own favorite recipe. Place a ball of dough in the center of the press, close the top and apply pressure to the lever to flatten. Remove pressed tortilla and cook. *Waxed paper may help with sticking. Inquire about Tortilla Press using the form below.